To beat back competitors like Google Apps, Office must evolve into an easier to use, tablet- and smartphone-friendly product, and one that doesn't penalize customers who access it via the cloud with big feature gaps and complicated setups. 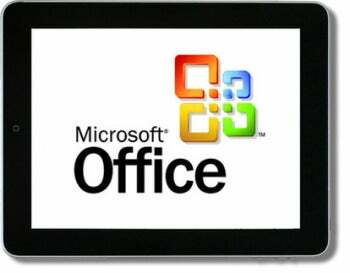 Specifically, Microsoft must overcome its reticence to make an Office version for iPads and Android tablets. And it must beef up Office 365, its year-old cloud suite that includes online versions of Office, Lync, SharePoint, and Exchange. When it announced a limited "Technical Preview" of the new version in January, under the code-name Office 15, Microsoft said the upgrade would evolve not only the suite's productivity applications like Word, Excel and PowerPoint, but also Office 365 and the on-premise versions of collaboration and communications products like Exchange, Lync, and SharePoint. The refresh would extend not only to PC interfaces, but also to tablets and smartphones. Above all, Microsoft must emphasize ease of use and avoid the shock many long-time users got when Office 2010 came out and they found that the placement of menus and commands had been significantly altered. It now has an opportunity to organize the suite's myriad functions in the user interface in a way that is friendlier to users. "Microsoft doesn't need to remove features, nor dumb down the product -- just don't assault users with all these features as it has historically done," he said. How Microsoft optimizes its applications for the various mobile devices is a tall order that will involve re-thinking their purpose and use in smartphones, touch-only tablets and hybrid devices that have both touch screens and mice/keyboards. Full parity between the on-premise versions of Office, Lync, SharePoint, and Exchange and their online counterparts may not be possible, but there is an opportunity to narrow the functionality gap that exists today, Osterman said.